If you've synced photos from your phone to Facebook, you have until July 7 to get the Moments app or download your photos; otherwise, they will disappear from Facebook. Facebook is becoming ever more aggressive at pushing users toward its expanded universe of services. First, it worked to push users toward its Messenger app instead of using the chat feature in the standard Facebook mobile app and site. Now, it’s coming for your synced photos. As TheNextWeb reported Saturday, Facebook is notifying users who automatically synced photos between their phones and Facebook that it’ll soon delete those photos—unless you download the Facebook Moments app, that is. The story behind the story: Facebook Moments lets you share photos with your friends (and vice-versa), and sort and group photos by date and the people in them. 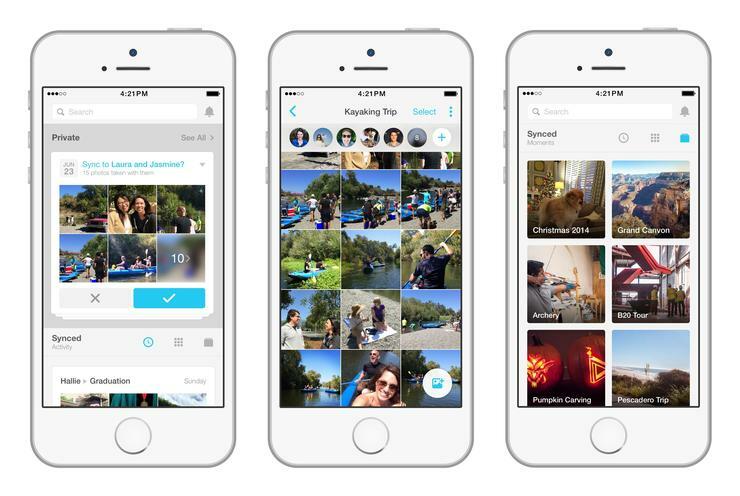 The company began pushing users toward Moments late last year, when it announced that it would remove the Photo Sync feature from its mobile apps, requiring users to download Moments to continue syncing photos. While the push toward Moments is the latest attempt by Facebook to strong-arm its users into downloading more of its apps, it probably won’t be the last. Facebook hasn’t said what’s driving its push toward Moments, but the company has a clear vested business interest in making sure you stay in its ecosystem as much as possible. It wants to be where you go for news, where you go to contact your friends, where you go to view and manage your photos. And the more eyeballs it retains on its site and services, the more opportunities it has to serve up ads. Whatever Facebook’s motives, though, its decision should serve as a reminder to all of us of the power major tech companies wield over our data and our digital lives.